On 26th and 27th October 2009 in Berlin, the European Academy for Taxes, Economics & Law sponsored a prestigious event on “How to Finance Broadband Infrastructure”, with Portland’s Head of Telecoms, Nick Flitterman, chairing the first day of proceedings. Participants included the great and the good from three EC Directorates, from national and regional communications ministries and agencies, and from major private sector telecom operators and suppliers. The event programme and speaker profiles can be seen by clicking on this link. Nick’s own presentation on “Models & Solutions for Financing Broadband in the Public & Private Sectors” can be viewed by clicking here. Please contact Nick directly at nick.flitterman@portlandadvisers.com for access to the information presented by the other conference speakers or to discuss the detail of his presentation. Following its sale in 2008 to L Capital 2 FCPR (an investment group sponsored by LVMH – Moët Hennessy Louis Vuitton and Groupe Arnault), Princess Yachts International plc engaged Portland Advisers to build a full financial and operational model. Integrated with the Management’s information systems, the model provides automated up-to-date sales, costing and financial information. Princess Yachts International plc is the UK’s largest producer of luxury performance motor yachts from 42 feet to 130 feet. For further information on Princess Yachts International, click here. 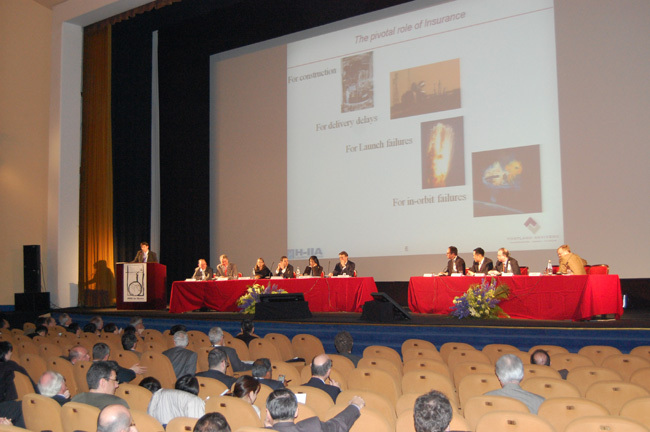 The world-renowned Pagnanelli space insurance conference was held this year on the Lido in Venice on 2nd and 3rd April 2009. Attended by the great and the good of the satellite industry, from operators to suppliers, insurers to governments, the participants took the opportunity to share experiences and expertise during this the 30th anniversaryal of the event. Nick Flitterman from Portland Advisers was notable for being the only represenative of the finance community at the event, and his positive presentation on insurance issues in Project Finance was well received attracting plenty of interest and questions as the industry continues to ride the difficult financial climate with success after success. Click here for further details on this years conference, use the link below to view a copy of Nick’s presentation on “Insurance in Project Finance”or contact Nick directly at nick.flitterman@portlandadvisers.com for further information. 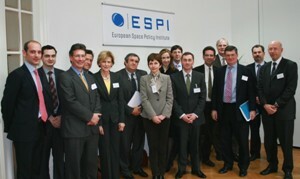 On 31st March 2009, the Head of Telecoms at Portland Advisers, Nick Flitterman, joined an audience of senior dignatories from the public and private sectors at a conference discussing the future of satellite PPP’s, sponsored by the European Space Policy Institute (”ESPI”) in Vienna. Following a presentation of their study made by the highly respected Milbank space and project finance team, Nick chaired a lively discussion amongst a panel of senior satellite sector executives, including Romain Bausch, CEO of SES, and Giuseppe Viriglio, Chairman of Telespazio, with debate held on some of the key issues facing the sector today and in the future. For full details of the conference and further information on ESPI, click here, or contact Nick directly at nick.flitterman@portlandadvisers.com.